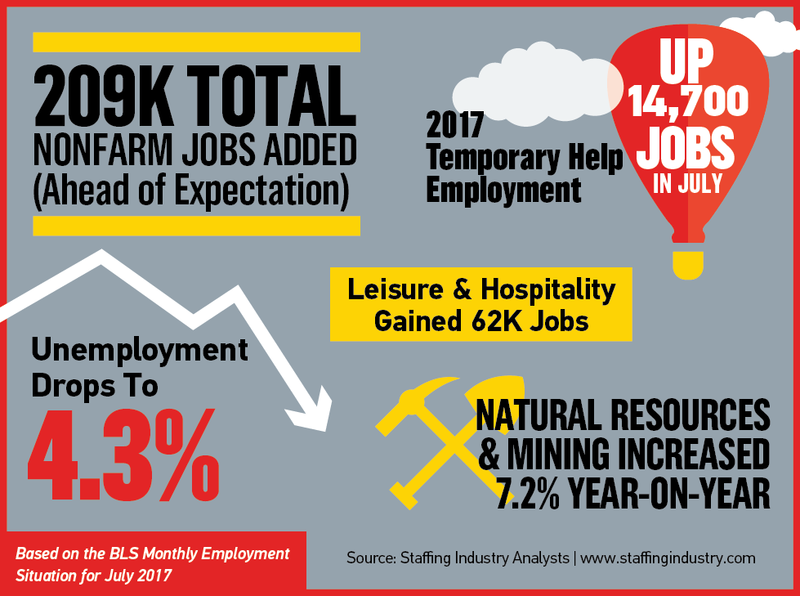 As presented by the Staffing Industry Analysts (SIA), in July, unemployment dropped to 4.3% and continues to remain at historic lows. Employment grew in most major job categories including the Temporary Staffing sector. An even more recent SIA forecast for 2018 suggests there will only be added ferocity to the already highly-competitive staffing industry. The war on talent is no longer a cliché catch-phrase but a real threat to business. It’s now the candidates’ market. Great for them. A potential threat to you. Right now, you have one of two choices. You can pretend these stats are not real and continue business as usual, or you can leverage your Applicant Tracking System (ATS) for high touch, to keep your talent warm, keep them engaged and build loyalty across your talent base. So if you’ve decided to utilize your ATS to hold onto the talent you’ve worked so hard to build, how do you keep them? Spending five minutes searching through websites like Glass Door or Indeed will give you an insight into the reputation of staffing firms from your clients’ and candidates’ perspectives. The truth is, candidate loyalty is built through mutual respect and strong, consistent communication. So, the 1Staff team wanted to provide you with the following checklist of activities that allow you to leverage an ATS to ensure loyalty is established with your talent base and reciprocated by them. Your temporary talent relies on a continuous stream of work to remain loyal. Your ATS should be able to highlight the end dates of all contracts, and allow to you start sending out new opportunities based on end dates. Don’t only rely on email. Take advantage of SMS technology to ensure messages are delivered efficiently. Let your talent know you’re thinking of them. In your ATS you should be able to set up automatic greetings/messages, which are customized, and demonstrate to your talent that they’re not just a number, but a valued-member of your community. Run a survey. Ask your talent questions about how to improve your service, demonstrate to them that you care about them and you want to provide the best experience and service possible. Share your findings and communicate steps to address gaps in service. Many staffing firms focus on initial feedback from clients and talent at the onset of a “new” assignment. Leverage your ATS to establish workflows that help your recruiters ensure there is job satisfaction through the duration of assignments. Imagine the increase in margin if you could cut down on “Fall offs”. A strong ATS should come with solid “Employee Self Service” capabilities. Enable your talent base to easily update information, availability and apply for open roles on their own. Talent loyalty is easy to establish if you can help further their careers through placement in great opportunities. When you jump online and read client and candidate feedback about staffing firms, there’s lot of room for improvement. Creating and continuing high touch, and giving your candidates what they want will demonstrate you care. Ultimately, as we would all agree the best Talent come from referrals, and loyal employees are more likely to recommend your firm.